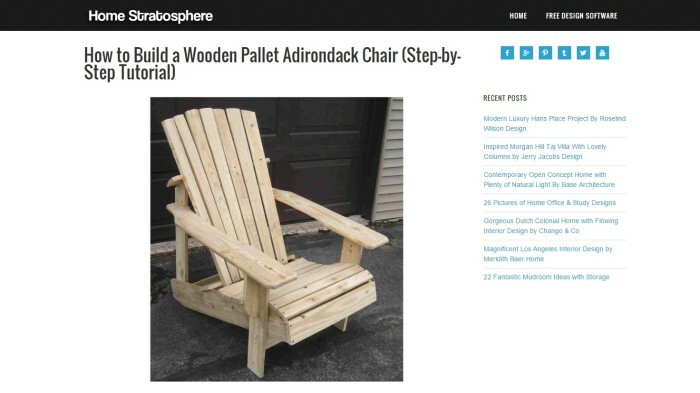 Beautiful and simple, an Adirondack chair is fairly easy to build. 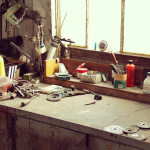 You won’t need to be a professional carpenter for most plans and you’ll need just a few tools to get started. The best part is that these chairs are aesthetically pleasing and there are a lot of design options. You can even make them into a loveseat or a double! So, if you have a weekend, you can make yours without an issue. But, if you have no experience, you’ll need a few plans to get started. We have done the hard work and have come up with 8 instructions and designs that will guide you through building your very own chair. The best part is that you’ll only require 8 boards, and they cost just $1.30 each or less. In total, your materials will cost you just under $20. You can also use a drill to make holes for your screw, a tape measure and a hand saw will suffice. 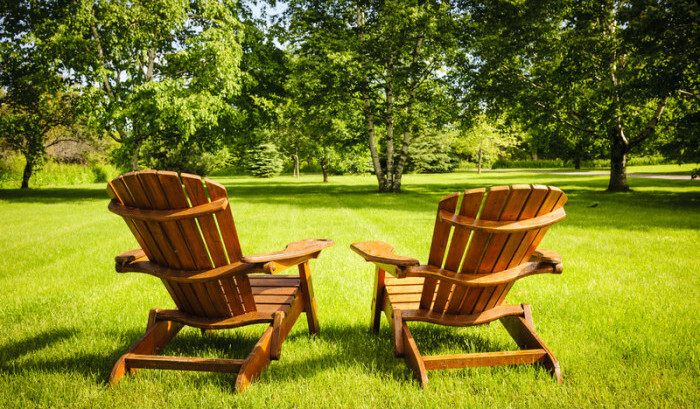 If you have a lawn, you’ll be able to place your chair in your yard and kick back with a cup of tea! Keep in mind: This is a simple design and you can go further by adding cushions if you see fit. You’ll require a variety of different pine lengths and bolt lengths, but this is all explained on the bottom of the page in the materials list. You can also download the list if you like. 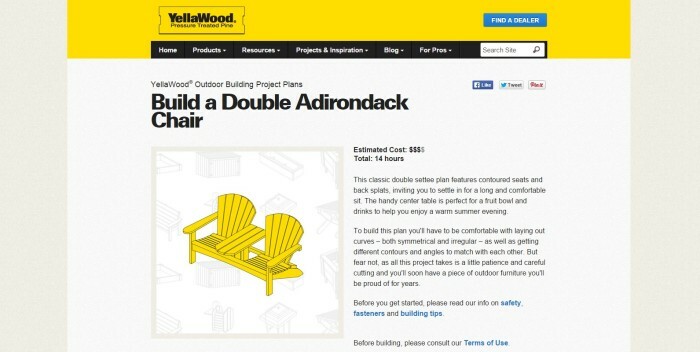 There are a total of 14 steps to complete this double chair. There’s even a large arm rest in the middle so that both people can fit on it with ease. Keep in mind: You’ll need a variety of saws for this option, so if all you have is a hand saw, you’ll want to choose another plan, or it will take well beyond the 15 hour mark. 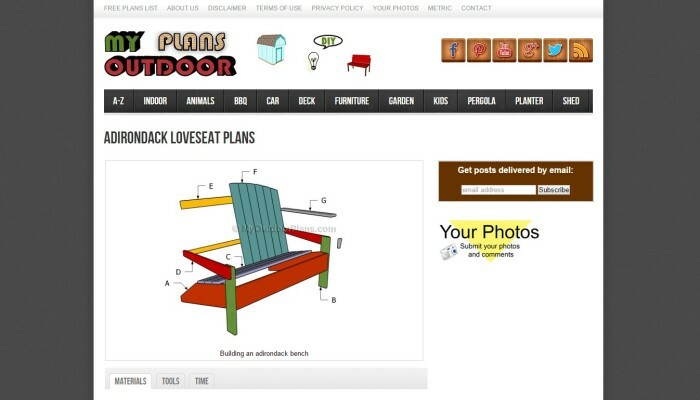 Do you want a beautiful loveseat design? If so, this website has a great design ready for you. The one thing I don’t like about these is that there’s no final picture presented that isn’t a graphic mockup. Keep in mind: You’ll also need lumber. The site does not include the types of bolts or fasteners that will be needed in the material list, but you’ll be using wood glue and screws. Lee Valley and Veritas provides something that all other instructions so far have failed to do – a folding option. When storage is a concern, this is the chair you’ll want to be building. It is 12” deep when folded, which is exceptionally small! Keep in mind: Fully threaded bolts are used to create the folding functionality. You can even buy the custom-made bolts from the site to make building even easier. On a budget but still want to build a beautiful chair? Home Stratosphere has a great plan that’s completely free. This version is made out of wood pallets. 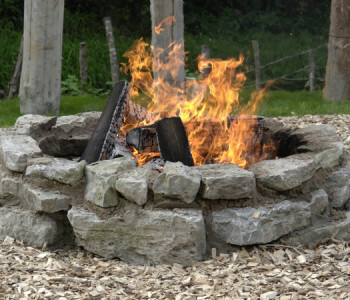 Before we discuss materials, you’ll want to know that you can find pallets at many construction sites or outside of industrial areas. 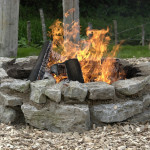 You’ll need to dismantle the pallets which will take some time, but afterwards, you’re ready to start building. The final picture shows a beautiful chair where you’ll sit on a decline. Comfort meets affordability with this option. Don’t want to sit so low to the ground? Ryobi Nation has a version just for you. The Bar Height chair is just that – bar height. This option is great for older folks or those that have difficulty standing from a lower seat. However, this model will require larger wood planks to be created. Pine or whitewood board in a variety of sizes. Costs and time to finish will vary. If you have a weekend to spare, you can definitely have this model completed. 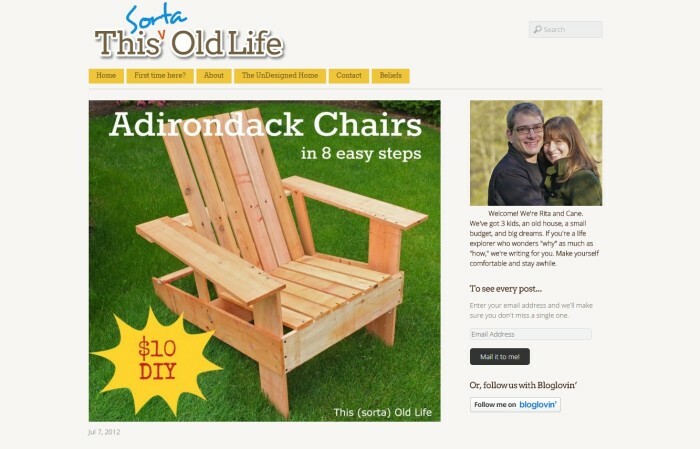 Ana White provides amazing, free instructions for so many different chair types. When it comes to great designs and being thorough, Ana is the queen. 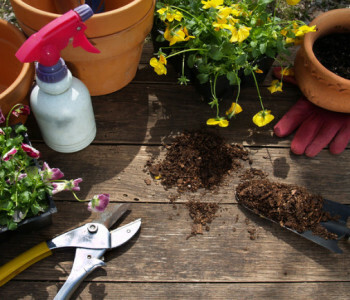 This is an 8-step project, and the total cost will be $20 – $50 to create. A list of all wood cuts and sizes is available. Then, it’s as simple as following the diagrams and pictures through each step. Keep in mind: Each chair takes about a day to complete. This company provides something all of the others don’t – a rocking version of this chair. It stands 35” tall and has a width of 27”. Provided in blueprint style, you’ll be able to use these instructions to trace your exact cuts and begin making your next beautiful piece of furniture. With tips provided, this is an extremely easy piece of furniture to assemble once you download instructions and start looking them over. Exploded diagrams are provided to give you an even more detailed view of what’s occurring with it. 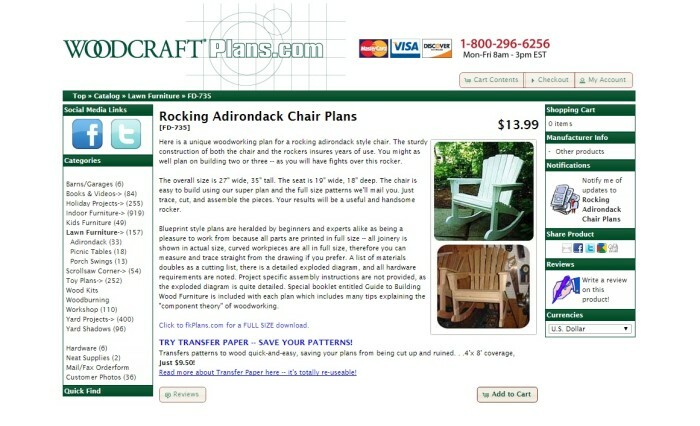 Keep in mind: If you’re building a chair for an older person, this is your best bet. After all, who doesn’t like a beautiful rocking one? 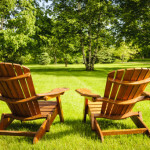 Adirondack chairs are classics that never go out of style. These are very simple to create no matter your carpentry skill level. 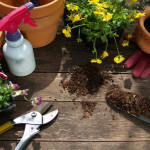 If you’re a beginner and have never built anything before, you’ll find that these often take less than a day to complete and will last for years outside if properly stained and treated. 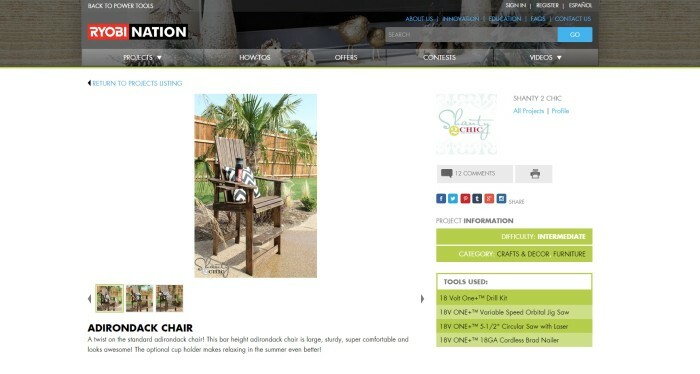 From rocking to fold up and traditional styles, you’ll find an amazing chair that’s easy to build in our list of top 8 free plans to use for your project! 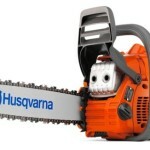 ← Review: Is Husqvarna 445 Chainsaw Really Worth Buying?